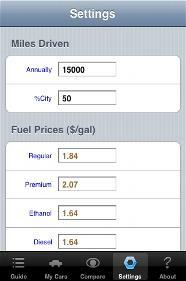 Considering the current economic crisis and the higher fuel costs we're facing, we've come up with an application that could help. 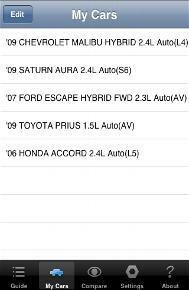 Fuel Economy Guide 2011 contains a database of over 30,000 differently configured vehicle models that are available in the US between 1984 and 2011. 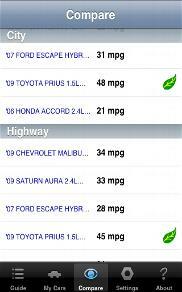 Using this database, you can view the fuel economy ratings for any vehicle in the database as reported by the EPA. 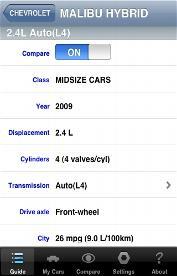 Using the estimated # of miles you drive annually, and the percentage you specify as being City driving miles, FEG2011 will tell you the annual fuel costs you would incur if you owned the selected vehicle. 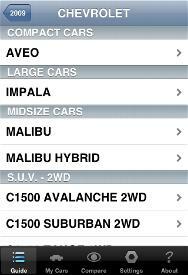 You can select up to 7 different vehicles to compare. 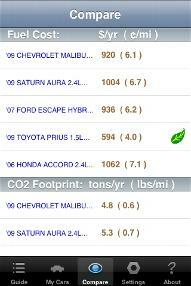 You'll see which one has the best fuel economy, lowest fuel costs, and the smallest Carbon footprint! Another fun app! This time to celebrate the Chinese New Year! On the main tab page ("My Sign"), select a date and it will tell you what Chinese Animal zodiac sign that date corresponds to. 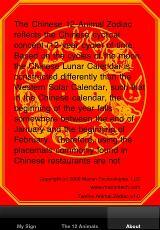 Since the Chinese Zodiac is based on the Lunar Calendar, the "new" year does NOT correspond to the Western calendar's New Year date. 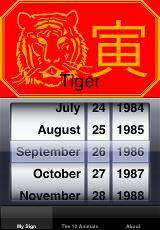 This application takes into account those differences and accurately tells you the correct Chinese Zodiac sign, unlike those placemats typically found in Chinese restaurants. 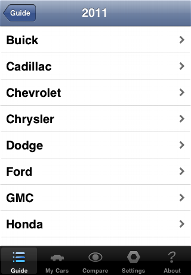 Switch to "The 12 Animals" tab page and view the details on any of the 12 Animals. 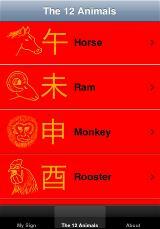 View the traits and compatibility that Chinese folklore has ascribed to people born in the particular animal year. Since an Animal year repeats every 12 years, the 12 Animal Zodiac serves a useful social function—by knowing a person’s sign, you can figure out that person’s age! So, instead of asking how old a person is directly, you merely ask what his/her sign is. However, it is more likely the case that a person’s sign is asked simply to know who is older among friends and acquaintances. A little app to bring some holiday cheer! Choose a bell, and then shake your iPhone/Touch to ring the recorded bell sound. 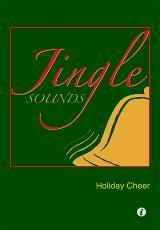 Shake it softly for a soft sound, or shake it harder for a richer "jingle".